Herbes De Provence is the perfect addition to savory dishes. If you grow your own Lavender herb garden its very easy to make your own Herbes De Provence. This herb blend may be rubbed onto meats such as chicken or salmon. Combine it with cream cheese or butter to make your own spread. Add it to pasta, it's uses are numerous and it is a great staple in any spice cabinet. This recipe uses 6 different herbs along with the Lavender. You may gather fresh herbs and make a fresh herbal blend to use immediately or you can take dry herbs and combine to make a blend that can be stored for later use. If using freshly harvested herbs you will need to dry them before combining if you plan on storing your Herbes De Provence for later use. To do this simply harvest and hang them in a cool warm place for a few days until they crumble easily. Lavender flower buds are what is used in the Herbes De Provence recipe but if your plants are not in bloom you could substitute Lavender leaves when in a pinch. Simply remove individual leaves and dry them. Chop them and use them immediately if using a fresh herb mixture. 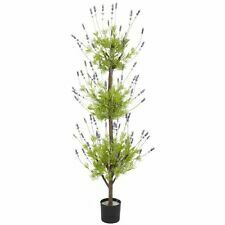 Please don't strip your plant bare on one side if doing this but gather from different areas around the Lavender plant choosing bright fresh growth for best flavor. If you are planning to use them fresh simply combine and finely chop all to use immediately as a fresh herb rub on poultry or other meats, or use for a fresh herbal spread by combining with soft cheese and allow to sit in the fridge for a day or two. For dry herbs just combine and mix together. You may use a mortar and pestle to grind if a finer mixture is desired. Store dry herbs and herb blends in an airtight container away from light and heat sources. Be sure to label what you have made and maybe include the amounts if you have customized the blend by adjusting the quantity of the herbs used. Tell me how you use your Herbes De Provence? If you plan on buying your Herbes De Provence be aware that the herbal blend varies slightly. Some have fennel and other herbs in the mix and not all blends contain Lavender. What a shame when it is soooo good. There is also a link to a wonderful Herbes De Provence Cookbook above for more delicious recipes.